Can AT&T resurrect skinny bundles with engagement pricing? 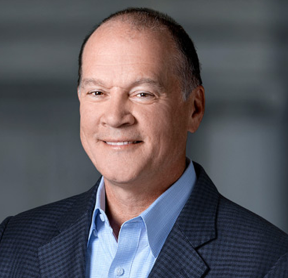 In an interview with The Information, John Donovan, the CEO of AT&T Communications, laid out his vision for the future of the TV bundle, and it is decidedly skinny. To get there, he needs programmers to accept engagement pricing, something they unlikely to do. In an interview with The Information, Mr. Donovan expounds on his belief that TV providers should be compensated based upon the engagement their channels drive. He is trying out this idea today with the participants in the company’s $15-a-month WatchTV service. Many of the channels in WatchTV come from WarnerMedia, a division of AT&T. Certainly, the data supports his position. 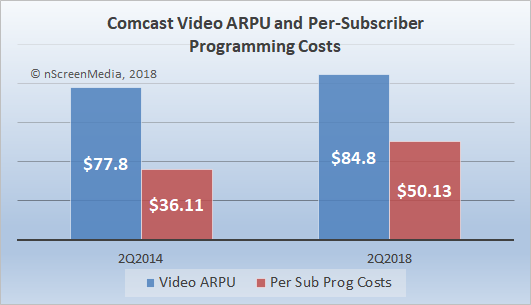 For example, Comcast has seen programming costs rise from 46% of video ARPU in Q2 2014 to 59% in Q2 2018. Over the same period, engagement with TV has been falling. The time an average TV viewer spent watching live TV fell 15%, and among 18-24-year-olds it fell 25%. Notwithstanding the falling viewership, no major programmer is going to risk earning less money for their channels by moving to engagement pricing models anytime soon. Not with $50 billion a year in programmer licensing fees at stake. That is how he has constructed WatchTV, based on WarnerMedia channels. Without engagement pricing, however, building more skinny bundles like WatchTV will not be easy. The truth is, programmers have no incentive to work with AT&T on skinny bundles. Not only would it put a large amount of revenue at risk, but also they don’t believe they need AT&T to achieve success. They are launching direct-to-consumer services, subject to “engagement pricing,” while sustaining the very lucrative traditional pay TV business. You can bet that broadcasters like Disney and CBS are doing their math very carefully indeed. 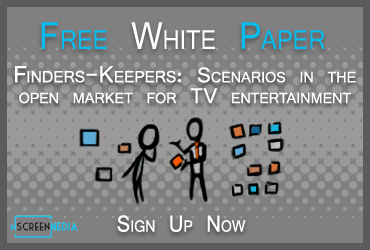 AT&T’s CEO wants TV programmers to adopt engagement pricing models. Such models would allow him to create sharply targeted skinny bundles of TV channels. Programmers likely won’t work with AT&T on the approach. It puts too much revenue at risk, and they don’t need help a skinny bundle’s help for online success.